This Creamy Banana Oatmeal bowl is sweet, heart healthy and nutrient rich. It is the perfect start to a morning. 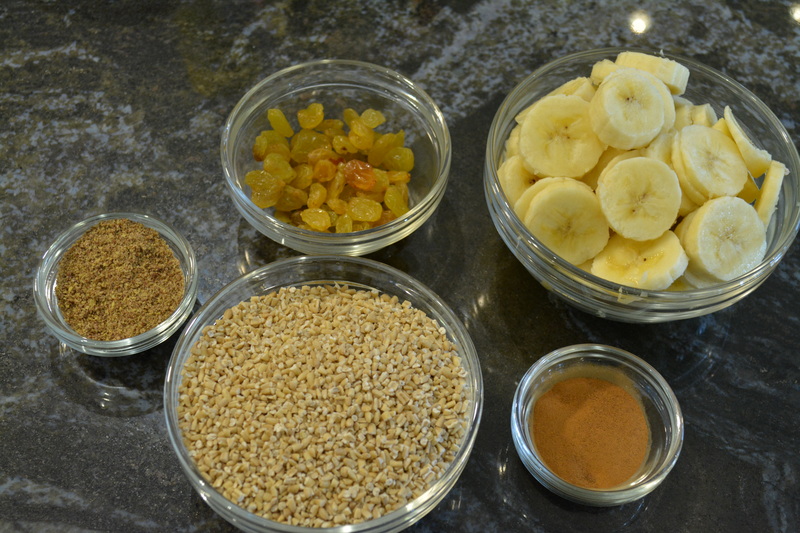 Just five ingredients: steel cut oats, bananas, cinnamon, ground flax seed and raisins and you are on your way. Start by heating water on high in a sauce pan until it comes to a rolling boil. Slowly add the steel cut oats. Give a stir, cover the pan and then turn the heat down to simmer. While the oats are cooking, chop the bananas and measure the cinnamon, ground flax seed and raisins. 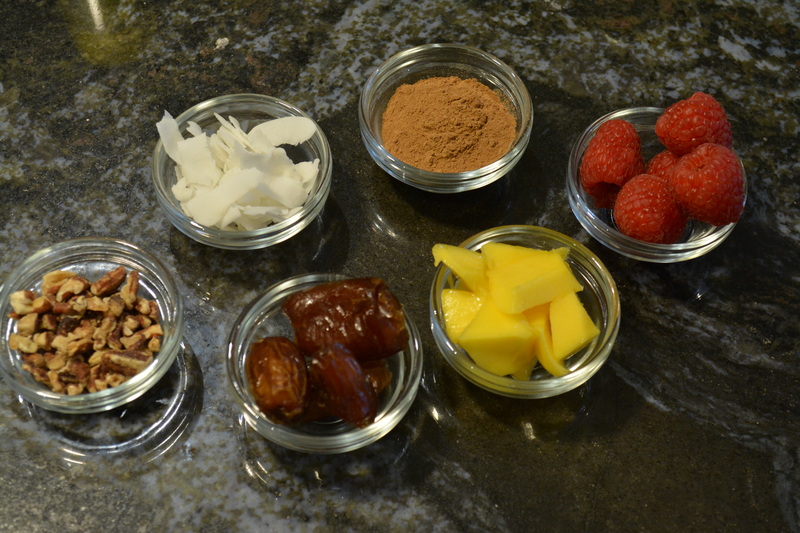 I love these ingredients for adding antioxidants, omega 3s, dietary fiber and iron to the oatmeal bowl. After about 20 minutes of simmering, they should be cooked. Cook more or less to reach your desired consistency. Now stir in the remaining ingredients (bananas, raisins, cinnamon and ground flax seed) or arrange them on top of individual bowls. Here are a few of my favorite toppings. This is what I call a perfect start to the morning! The recipe serves 4 people. Cooking for yourself? Make this big batch and store it in the fridge to eat throughout the week. It thickens as it cools so, to reheat, you might like to add a bit more water or plant-based milk, give it a stir, and cook it in a saucepan or microwave until nice and warm. The oatmeal bowl has 220 kcal per serving. That’s just about half the amount in a bagel with cream cheese (436 kcal). It has almost twice the amount of dietary fiber (7 g vs 4 g) and no cholesterol at all (0 mg vs 27 mg). You will find more nutrition information in the notes below the recipe. And you can make it for $0.43 per serving. Do you love oatmeal? 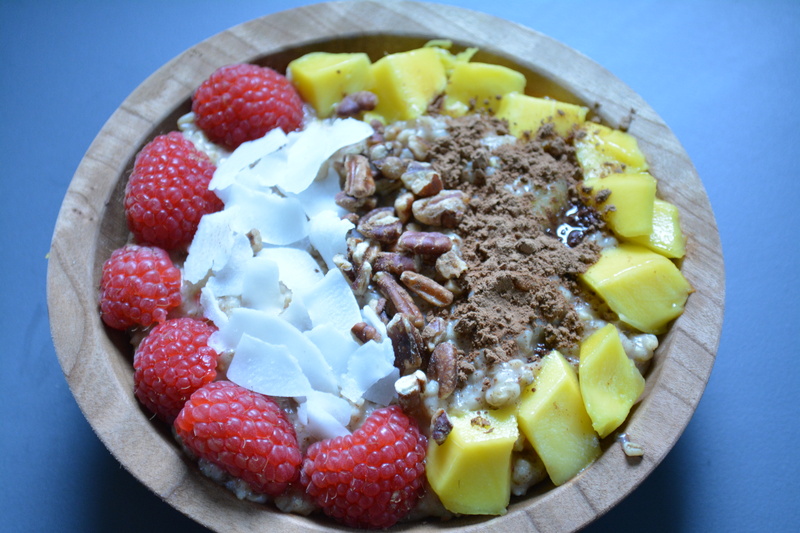 Be sure to check out my 2-Minute Oatmeal Bowl, Creamy Banana Raspberry Oatmeal Bowl and Acadia Breakfast Bowl. If you try this recipe, let me know! Leave a comment, rate it, and don’t forget to tag a photo #beantownkitchen on Instagram. I love hearing how you enjoy the recipes and customize them to make them your own! 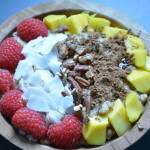 This is a naturally sweet and creamy, very filling and heart healthy breakfast bowl. 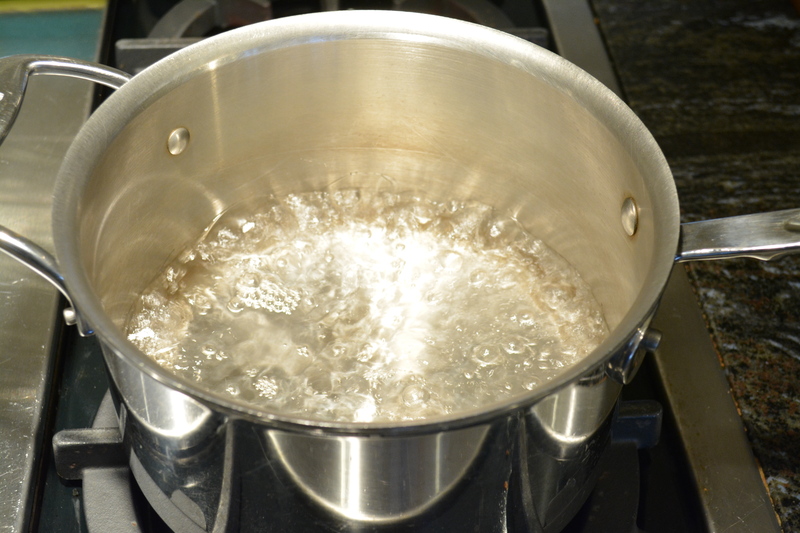 In a medium sauce pan, bring 4 cups of water to a boil. Slowly stir in one cup of steel cut oats. 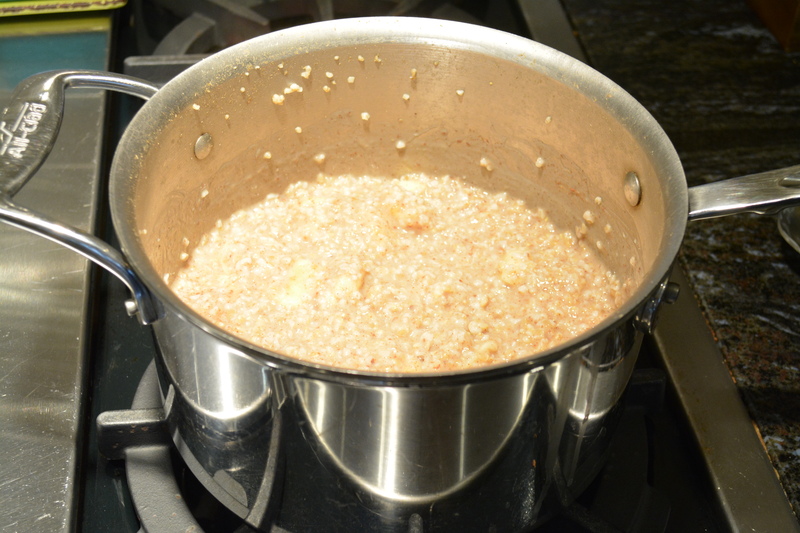 Reduce heat to a simmer, cover with a lid and cook for 20 minutes or until desired consistency is reached. Stir in bananas, cinnamon, ground flax seed and raisins or scoop the oatmeal into bowls and then arrange them on top. Diana, this sounds amazing! Can’t wait to try it! Hi Medina! It’s really good. Hope you love it!